Nutritional Supplements – Are They Good for You? Are Nutritional Supplements Good for You? Did you know that in 2015 – Americans spent over 35 billion dollars on nutritional supplements? That is almost as much as our health care expenditure! So, it seems like a good idea to figure out if they work, or if they’re good for you. It’s good idea to do your research and make sure that you are buying quality supplements. There are problems with many companies, they don’t use quality ingredients, they make claims that aren’t true, and they sometimes have drugs in their products. But this is why it’s SO important to research what you buy. Don’t just go to Costco and buy the latest thing you saw on Dr. Oz, or some other place on the internet. The companies you buy from should be certified cGMP – many professional supplement manufacturer’s go through the process to certify their products – Good manufacturing practices (GMPs) are guidelines that provide a system of processes, procedures and documentation to assure a product has the identity, strength, composition, quality and purity that appear on its label. These GMP requirements are listed in Section 8 of NSF/ANSI 173 which is the only accredited American National Standard in the dietary supplement industry developed in accordance with the FDA’s 21 CFR part 111. NSF International’s GMP Registration Program enables manufacturers to become independently registered by NSF to meet GMP requirements. The program is open not just to manufacturers of dietary supplements but also to manufacturers of ingredients and raw materials, as well as distribution, warehousing and packaging companies, who want to demonstrate their commitment to public safety. When buying herbs, you should make sure that they have been tested for quality, and in most cases, only buy organic herbs. Watch the Medicinal Supplement Summit – no cost – online coming on September 12. 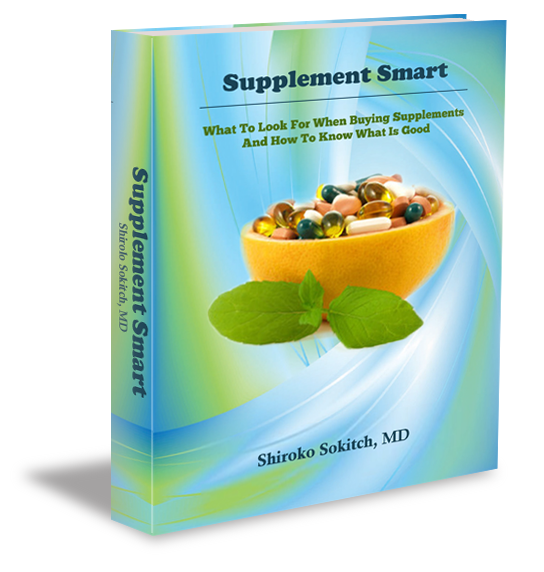 You will learn everything you need to know about supplements! http://howdoyoufeelnow.com. Over 20 experts discuss all the different elements of supplements and how to choose the right ones. Don’t buy herbs that have “standardized extracts” – herbs should be taken whole – and organic. For more on the supplements you should not take, and those that have a track record of safety and effectiveness, check out the links below. Strong, Happy and Healthy PDF – A report on the best supplements you can use to feel better, along with safer alternatives to dietary supplementation, like diet and exercise. Do you have more questions about supplements, and which of them might benefit you? If so, click here to contact Dr. Shiroko today.